Enjoy the top 4 famous quotes, sayings and quotations by Kelle Hampton. cannot happen without the pain. Through pain and growth, I have come to appreciate -no, more than that-I've come to love my fence, even though it may be different than the neighbors'. The concept of perfection is not flawless or ripped from a magazine. It's happiness. Happiness with all itsmessiness and not-quite-thereness. It's knowing that life is short, and the moments we choose to fill our cup wiht should be purposeful and rich. That we should be present for life, that we should drink deeply. And that's perfection. And my dad and my mom and my family-my past, present, and future with Nella, what the world may view as broken or damaged-have taught me what true beauty really is. 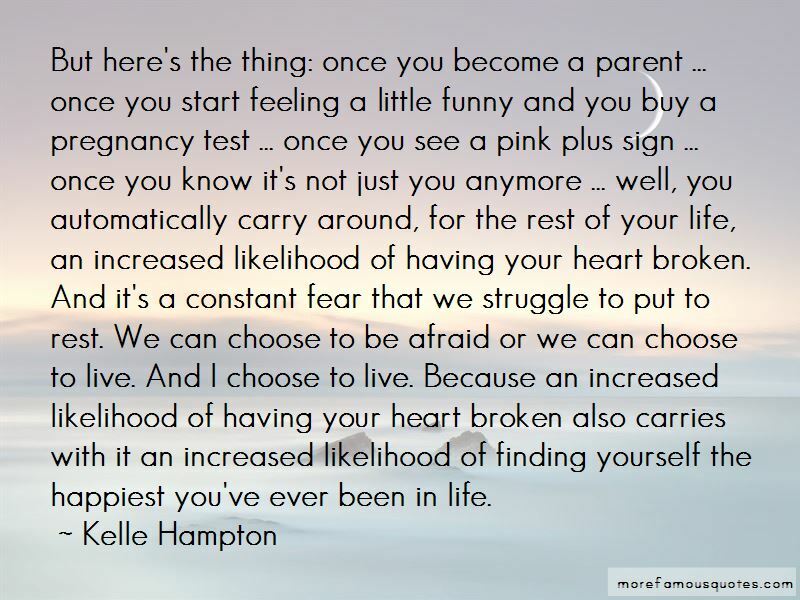 But here's the thing: once you become a parent ... once you start feeling a little funny and you buy a pregnancy test ... once you see a pink plus sign ... once you know it's not just you anymore ... well, you automatically carry around, for the rest of your life, an increased likelihood of having your heart broken. And it's a constant fear that we struggle to put to rest. We can choose to be afraid or we can choose to live. And I choose to live. Because an increased likelihood of having your heart broken also carries with it an increased likelihood of finding yourself the happiest you've ever been in life. 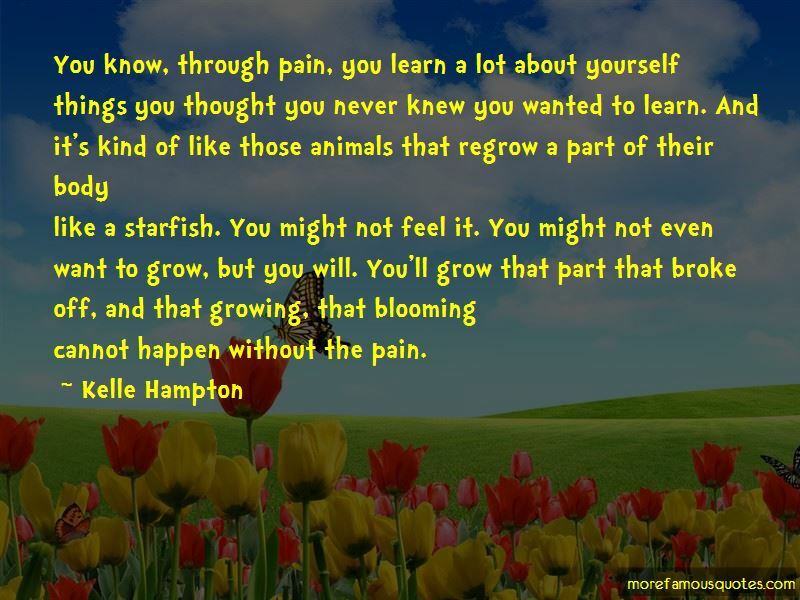 Want to see more pictures of Kelle Hampton quotes? 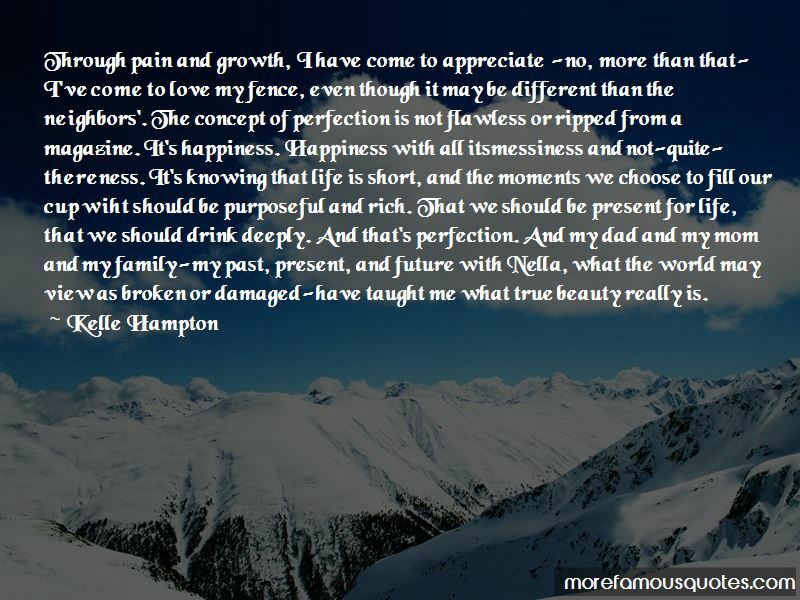 Click on image of Kelle Hampton quotes to view full size.